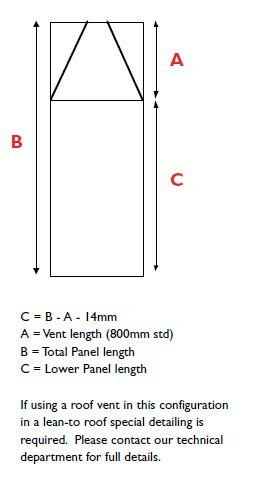 The following guidelines will help you to calculate the size of your roof vent. They will also allow you to work out the sizes of the polycarbonate or glass for inside and around your vents should you require it. These measurements and adjustments relate to the bars sold on this site. 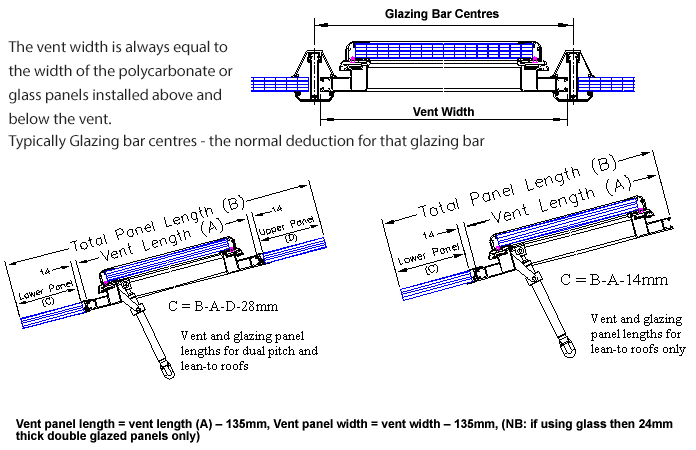 These may vary with other glazing systems therefore you would need to seek advice from your bar supplier/manufacturer.